From June 10 to September 10, “We Are Energy” will be on show at the 2017 International Exposition in Astana, Kazakhstan. 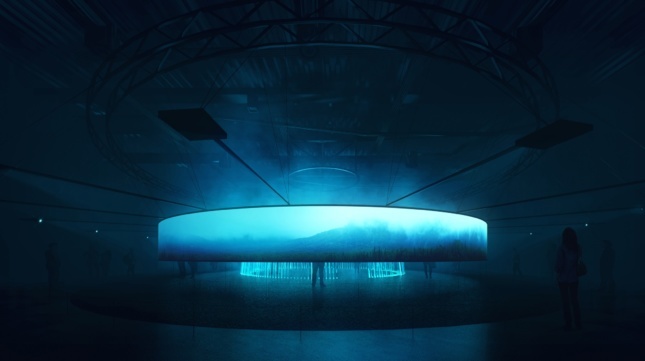 Though its name may sound like a Brian Eno number, We Are Energy is indeed the work of British architect, Asif Khan, whose pavilion houses an immersive, 360-degree CGI display screen. Eno is composing a soundtrack. 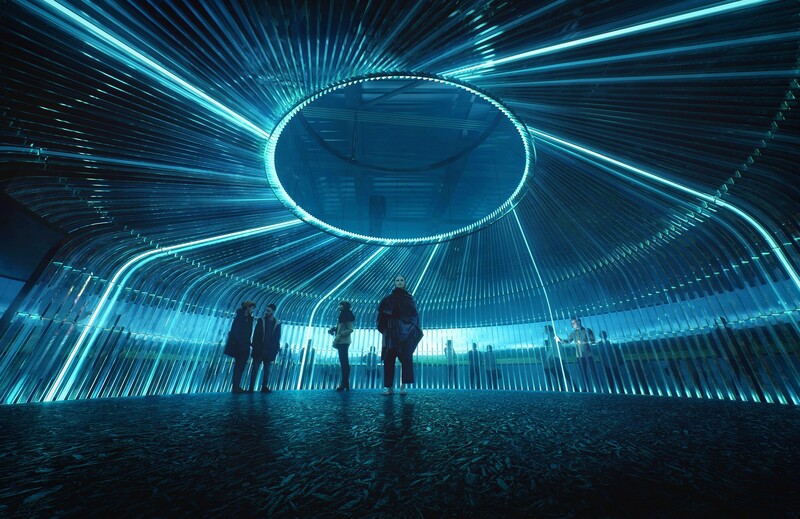 Echoing tones and shades of Spielberg’s Minority Report, Khan’s ephemeral work will feel like a dystopian Lazer Tag setting, except without the shrieking and zap-sounds as neon blue lights form a rotunda of sorts in the 23,600-square-foot space. This shell will be manufactured off-site. When put in place, it will be encircled by a screen that leaves space for visitors to walk between the two circular objects. The universe was formed 13.8 billion years ago. At that moment all energy and matter was in the same place at the same time. The idea that everything, including life on earth, is comprised of this archaic energy is fascinating to me. I wanted to find a way to express this relationship to our visitors and explore how energy is being continually harnessed and balanced around us. Professor of Astrophysics Catherine Heymans, from the University of Edinburgh, has also contributed to the project. As reported by the Architects’ Journal, Khan’s studio is working alongside KBW Designs and Woo.